ON THE 18TH SEPTEMBER 2014, for the first time in the long history of the world, a country committed national suicide in front of a live global audience. The voters of Scotland, a land with a thousand years provenance, and seven centuries a nation, declined to take responsibility for their own governance, and instead, entrusted it to a cabal of elitists from whom they can expect naught but sneering contempt. So what will we lose here now that Scotland has chosen dependency? Well, first, the timetable for the devo max promised has already been scrapped. Tory MPs are calling for the scrapping of Barnett, and have been quite clear that AT LEAST they want Scotland’s block grant cut by around £2700 per person. The proposed “powers” -changes to tax and spend in Scotland – will lead to further hardships as Scotland’s budget is squeezed. It is going to be a cold winter. Top of the list of immediate outcomes are further Westminster-actioned cuts, into the foreseeable future, regardless of the party in power there (Tory lite [Labour], or the genuine article, the Conservatives). There will be we changes to the Barnett formula leading to a substantial reduction in the block grant (£4 billion), further divesting Scotland of the monies needed to maintain existing services. And how long can it be now that Scots have voluntarily give up their right to self determination, before Barnett is scrapped altogether? The Scottish NHS will be eviscerated due to the effect of privatisation of the English NHS and its draining effect on Barnett consequentials and the implementation of the Transatlantic Trade and Investment Partnership (TTIP). Health Minister Alex Neil has said Westminster’s privatisation agenda is a clear threat to Scotland health service. “The austerity, privatisation and patient charging agenda of Westminster will have a direct impact on how much money we’ll have in future to spend on the NHS in Scotland if we stay in the UK. Patient charges for care and services which were previously free to access sees public money being replaced with private money, which will deliver a consequent reduction to Scotland’s budget if we were to remain in the UK. Now that Scots themselves have declared Scotland to be a region, not a country, it will be virtually impossible to exclude the Scottish NHS from the EU/US transatlantic trade deal (TTIP). In England this will herald an insurance-based American model of healthcare with ever diminishing state funding. So more broadly, what will all this affect? An end to prescriptions free at the point of service. The end of at-home services for the elderly. The end of free tuition for university students. The end of free bus passes for the over-sixties. The repatriation of key devolved competencies ( from Holyrood back to Westminster) to neuter Nationalist power (curtailing “SNP mischief-making”) to put an end to the Scottish Question once and for all. 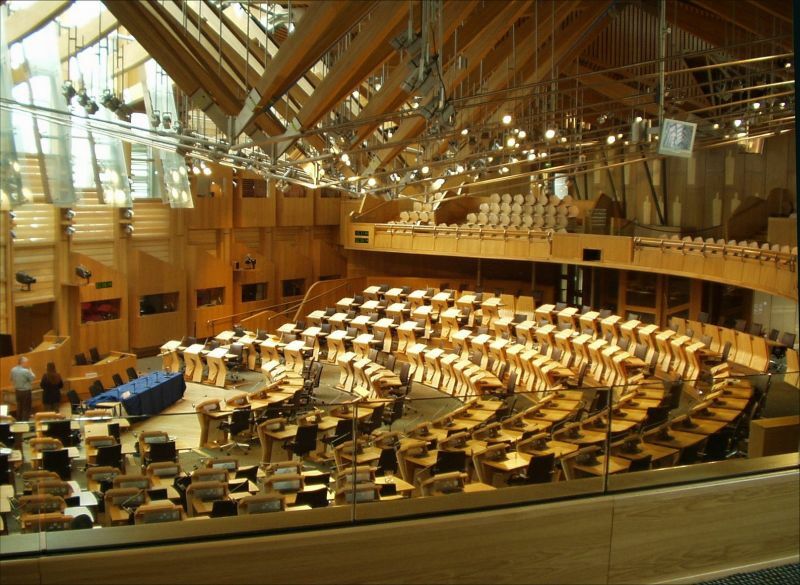 A vote NO will mean the effective end of the Scottish Parliament stripped of power and its diminution to a wee pretendy parliament (thus proving Billy Connolly right after all). 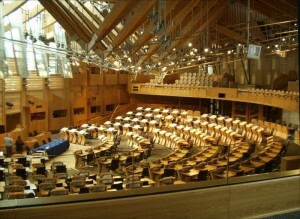 Scottish representation in the Westminster Parliament will be reduced to the already proposed 51 MPs initially, and will continue to decline as Scotland’s population continues to comprise a smaller and smaller portion of the greater English state. Per the London Government’s published opinion, and the scotching of the theory of “states within a state”, there will be concerted and coordinated efforts to dissolve the instruments and protocols of Scotland’s status as a country within the UK (AKA England), and to recast it in the public’s mind as just other northern region of Britain. That outcome follows necessarily since our English Government has given this learned opinion the imprimatur of THE official reference to be consulted when dealing with matters Scottish. We will now witness inevitable and inexorable descent of our culture into obscurity and obsolescence. The country we love will be permanently subsumed as a neglected and reviled low-opportunity Celtic backwater of a Greater England. Again, this new legal opinion from No.10 gives this scenario menacing credibility. NOW, LET US LOOK at a possible escape. When one considers the hardships and deprivations coming Scotland’s way, the passing of that generational cohort who voted 75% NO, and the resentment that is bound to accrue in the wake of the broken promises of constitutional reform, there is grounds for hope. It is certain that in their vengeful way, the establishment are resolved that having enticed the Scottish hound back into its kennel, they are going to beat it. That will only serve to further alienate Scots, and coupled with the other factors enumerated above, could increase pressure for a second referendum to an irresistible level. We could easily see pro-indy opinion poll numbers in excess of those in Catalonia. It all depends on just how cosmically dumb Westminster is prepared to be. I have enormous confidence in their infinite capacity for stupidity. The reality is that on Sept 18 just under half the electorate voted for independence, and just over half voted against it. It will take a swing of just five points + one vote to change last Thursday’s NO to YES. Charles, my understanding is the postal vote was 70% NO to 30% YES. I don’t think that large a disparity was seen in the votes of any of the regions. Somewhat odd. There is a grieving process to go through, and it takes time. Perhaps if the SNP can hang together and deliver a majority of Scottish MPs to Westminster, we can have leverage especially if there is another hung Parliament. I like many feel dejected and rejected,I am 62 and can understand why so many vote no but I think there were more younger ones voting yes. I am suspicious of all the new registrations,I wonder where they came from and if the just manage to vanish this weekend and get back to where they came from.The amount that registered was just enough to win for the no, and the unprecedented amount of postal votes that also arouses my suspicions. If as I am certain, will happen, none of the “extra powers” will come our way, there are wars to start and conflicts to send the Scottish troops in to. I can also see Scottish Water being sold off to a new company full of Tory donors and members of the party, it will be sold for a £1. so that they can raise money, and prices, to build the new infrastructure that they need to build. Of course they also own the companies supplying the materials to do the building, I would like to say to all those no voters thank you very much and if you lot are going to die in the next couple of years why did you leave this mess for our grandchildren to clean up.Thanks for getting rid of our country Scotland is no more you lot officially condemned it to history. Thanks for letting me get this off of my chest, I feel so sad Glasgow voted yes and then we had the unionist foot soldiers attack the goodbye party the yes supporters were having. Perhaps my hopes shall like a phoenix shall rise from the ashes of my despair.